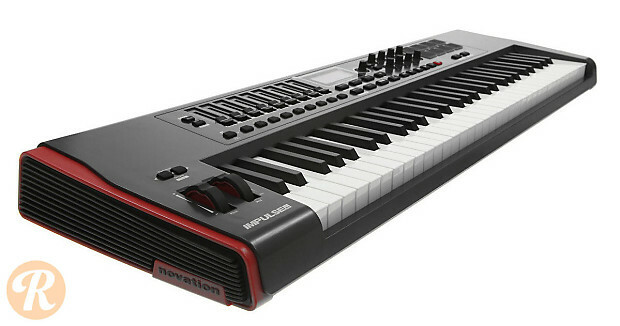 61-key MIDI controller featuring semi-weighted keys with aftertouch, 9 faders, 8 endless encoders, 8 velocity sensitive pads and a full set of transport controls. Bundled with mappings for Logic, Pro Tools and Ableton Live out of the box. USB computer connection, and hardware MIDI I/O for integration with synths and other hardware.